Temporary loss of liquor license, competition force closure; ownership seeks investors to reopen. 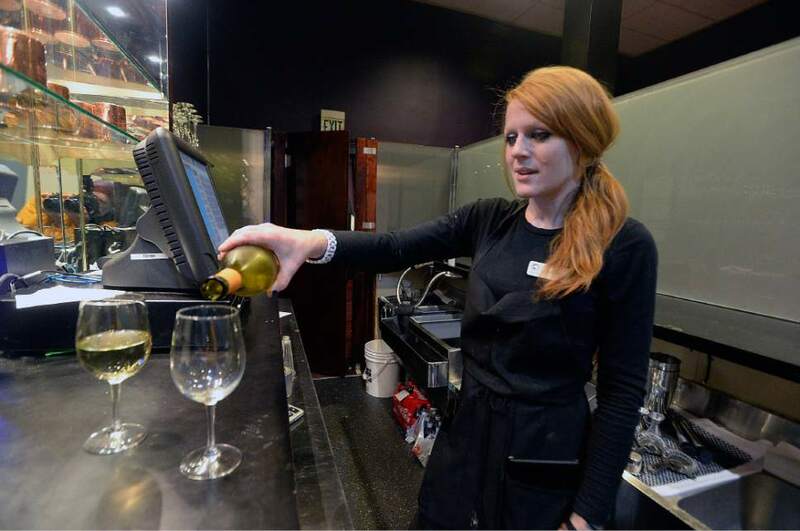 Al Hartmann | The Salt Lake Tribune Server Kerry Harding pours glasses of white wine for customers behind the "Zion Curtai Francisco Kjolseth | The Salt Lake Tribune Lamb's Grill has struggled financially since losing its liquor license in October. 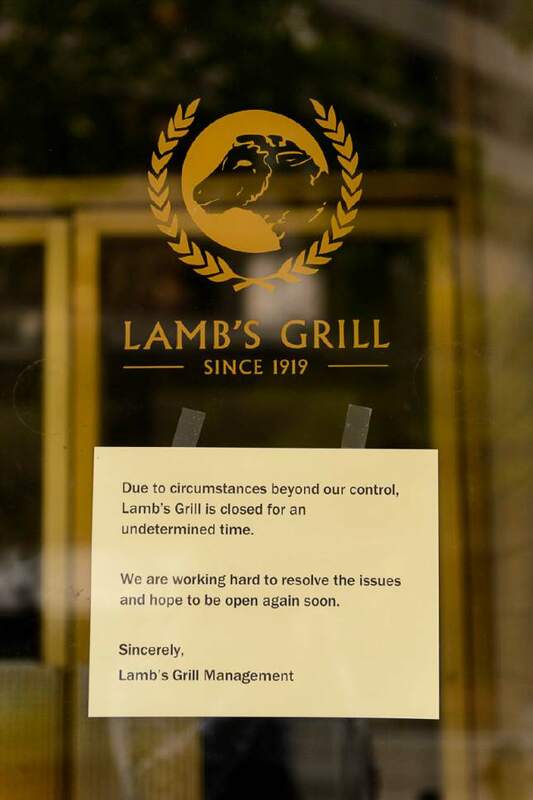 In l Francisco Kjolseth | The Salt Lake Tribune Lamb's Grill, has been struggling fnancially since it lost its liquor license in Octobe Trent Nelson | The Salt Lake Tribune Lamb's Grill in Salt Lake City has closed, Thursday April 27, 2017. Trent Nelson | The Salt Lake Tribune Lamb's Grill in Salt Lake City has closed, Thursday April 27, 2017. 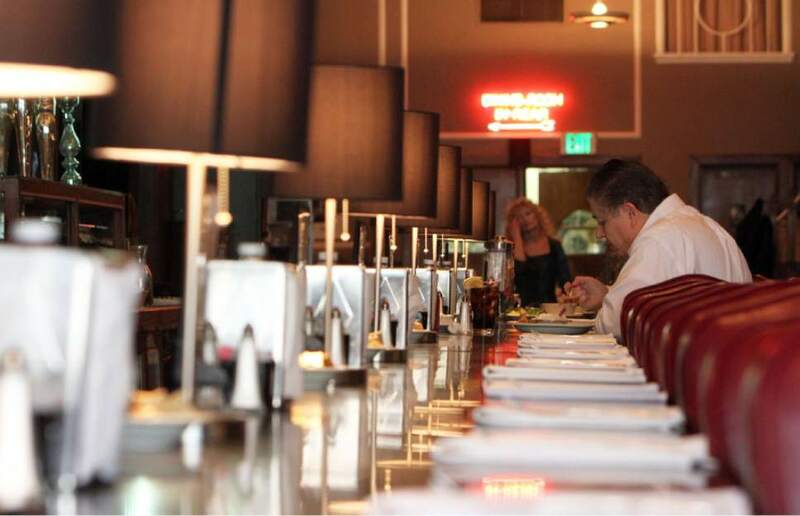 Francisco Kjolseth | The Salt Lake Tribune Lamb's Grill Cafe in downtown Salt Lake City is one of Utah's oldest restaurants. Trent Nelson | The Salt Lake Tribune Lamb's Grill in Salt Lake City has closed, Thursday April 27, 2017. Trent Nelson | The Salt Lake Tribune Lamb's Grill in Salt Lake City has closed, Thursday April 27, 2017. 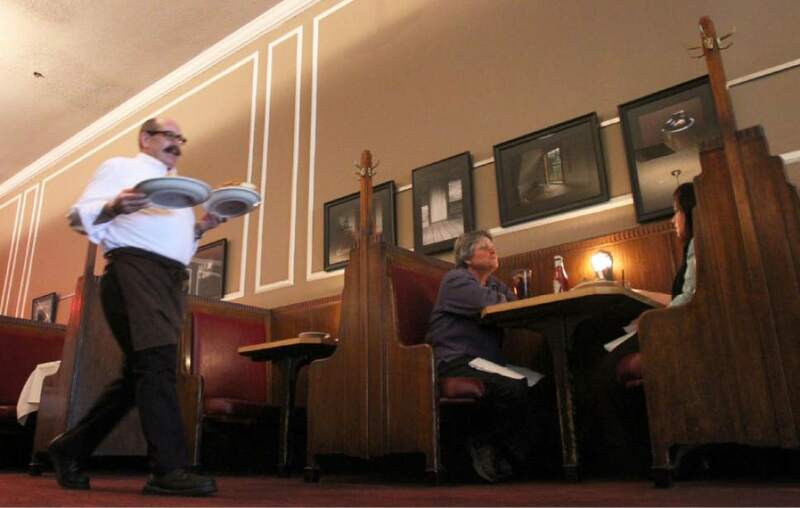 Francisco Kjolseth | The Salt Lake Tribune Lambís Grill Cafe in downtown Salt Lake City is one of Utah's oldest restaurants. Trent Nelson | The Salt Lake Tribune Lamb's Grill in Salt Lake City has closed, Thursday April 27, 2017. Trent Nelson | The Salt Lake Tribune Lamb's Grill in Salt Lake City has closed, Thursday April 27, 2017. Al Hartmann | The Salt Lake Tribune Server Kerry Harding pours glasses of white wine for customers behind the "Zion Curtain" at Lamb's Grill in Salt Lake City Wednesday Jan. 11. After building the frosted glass enclosure around the bar and paying a $2,000 fine to the DABC, liquor is once again being poured for customers. The iconic Main Street restaurant lost is license back in October because it failed to notify the DABC about the change in ownership. The mishap meant Lamb's fell under new requirements and had to build the state-requried barrier that prevents customers from seeing the pouring and mixing of booze. Francisco Kjolseth | The Salt Lake Tribune Lamb's Grill has struggled financially since losing its liquor license in October. In late-November, it was fined $9,000 for failing to tell the Utah Department of Alcoholic Beverage Control that it had an ownership change. The DABC on Thursday reduced the fine to $2,500. Francisco Kjolseth | The Salt Lake Tribune Lamb's Grill, has been struggling fnancially since it lost its liquor license in October. On Tuesday, was fined $9,000 for failing to tell the Utah Department of Alcoholic Beverage Control that it had new ownership. Trent Nelson | The Salt Lake Tribune Lamb's Grill in Salt Lake City has closed, Thursday April 27, 2017. Trent Nelson | The Salt Lake Tribune Lamb's Grill in Salt Lake City has closed, Thursday April 27, 2017. 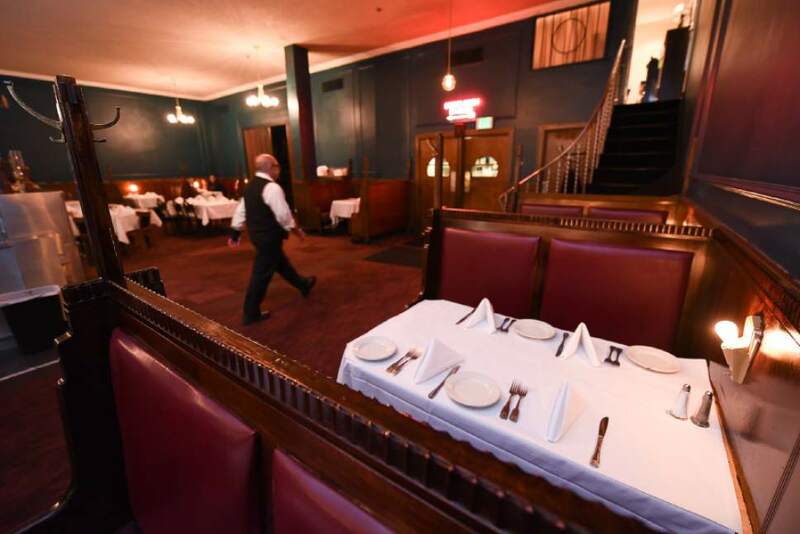 Francisco Kjolseth | The Salt Lake Tribune Lamb's Grill Cafe in downtown Salt Lake City is one of Utah's oldest restaurants. Trent Nelson | The Salt Lake Tribune Lamb's Grill in Salt Lake City has closed, Thursday April 27, 2017. Trent Nelson | The Salt Lake Tribune Lamb's Grill in Salt Lake City has closed, Thursday April 27, 2017. 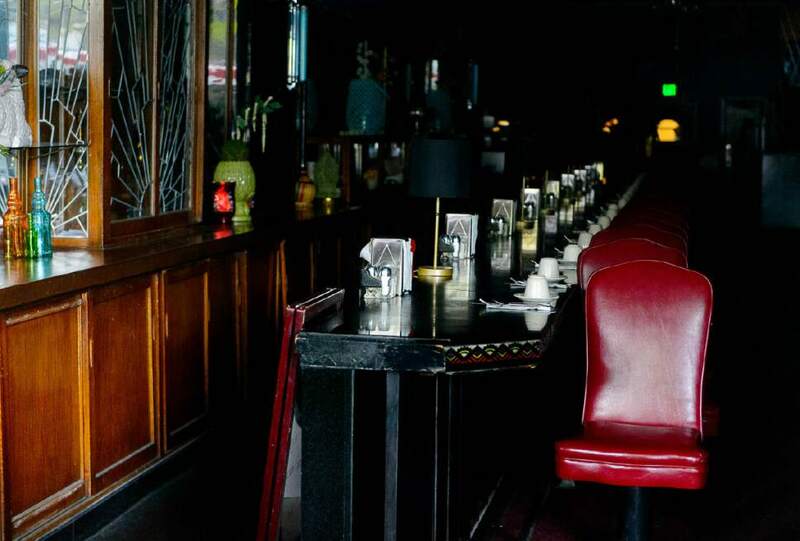 Francisco Kjolseth | The Salt Lake Tribune Lambís Grill Cafe in downtown Salt Lake City is one of Utah's oldest restaurants. Trent Nelson | The Salt Lake Tribune Lamb's Grill in Salt Lake City has closed, Thursday April 27, 2017. Trent Nelson | The Salt Lake Tribune Lamb's Grill in Salt Lake City has closed, Thursday April 27, 2017. 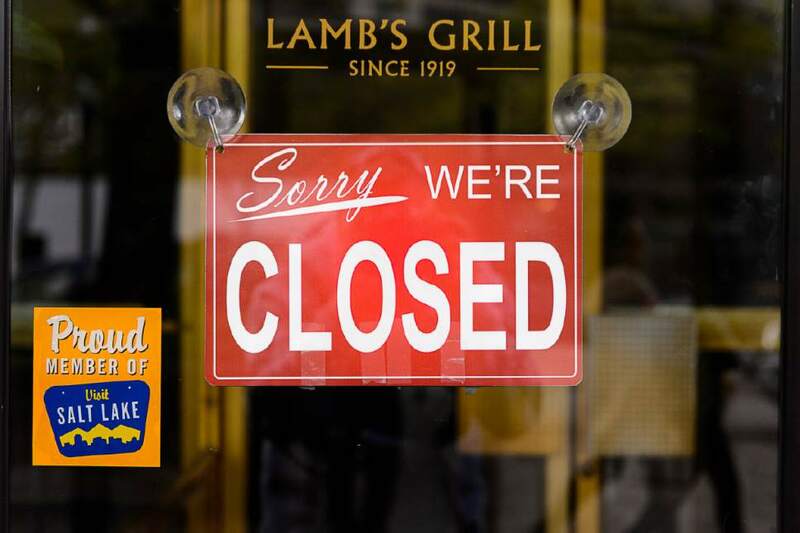 Lamb&apos;s Grill, one of Utah&apos;s oldest and best-known restaurants, shut its doors Wednesday after several years of financial struggle. 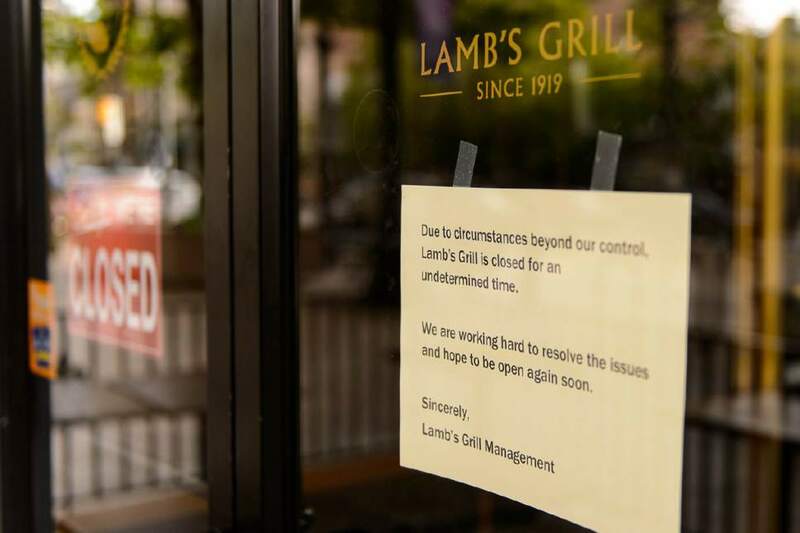 "We don&apos;t want to say it&apos;s the end of Lamb&apos;s," said General Manager Todd Gibson, "but the owner has run out of resources and we can&apos;t stay afloat." Owner Wayne Barlow is trying to find investors to help save the venerable downtown eatery at 169 S. Main St., Gibson said. "Hopefully, we&apos;ll only be closed for a couple of weeks." Lamb&apos;s opened in 1919 in Logan and moved in 1939 to its location in Salt Lake City. For decades, it was run by Ted Speros and then his son, John Speros. 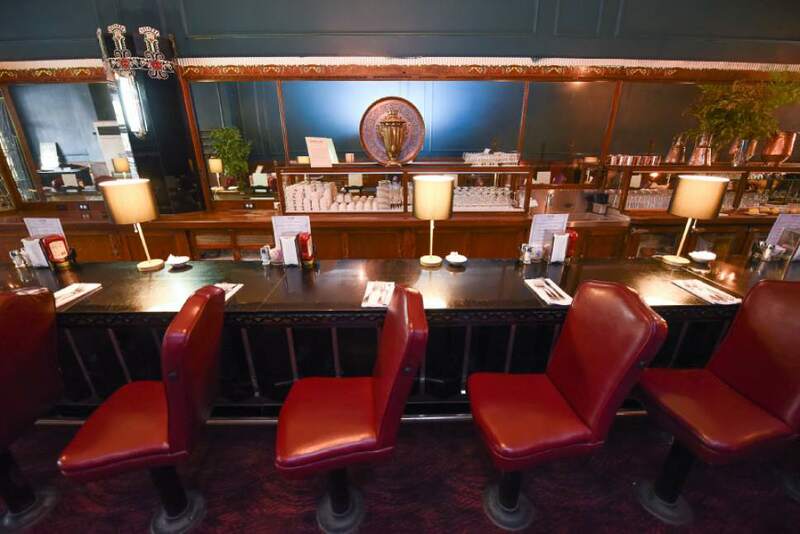 In its heyday, the restaurant, with its old-school booths, white-linen tablecloths and ornate wooden counter, was a favorite spot for Salt Lake City&apos;s power brokers to have lunch or a cup of coffee. Francis Liong and his wife, Joan Barlow, took over the operation in 2011. After the couple divorced, Barlow and her father, Wayne Barlow, bought out Liong&apos;s equity. In October, the restaurant already was struggling when it was forced to stop serving alcohol. The Utah Department of Alcoholic Beverage Control (DABC) said Lamb&apos;s had failed to inform the state that the majority ownership had changed in 2014. The DABC fined the restaurant $2,500 for the violation. The restaurant was also required to build an enclosure  aka "Zion Curtain." 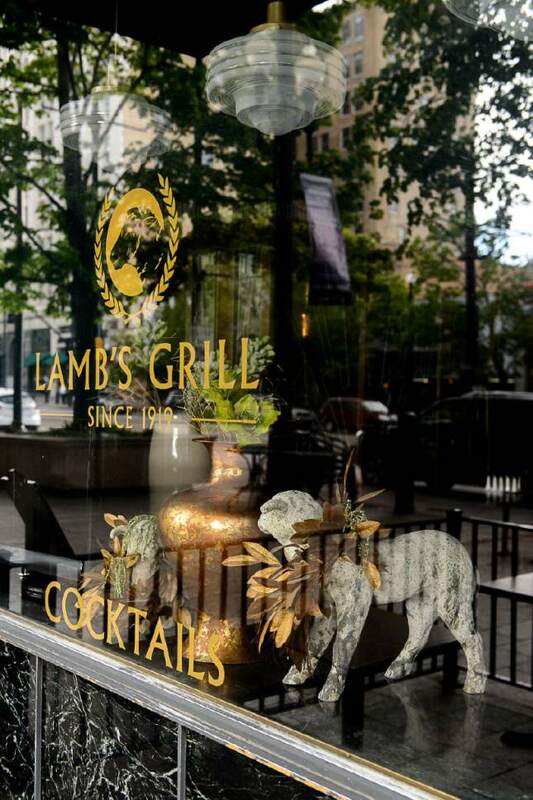 Lamb&apos;s Grill was previously exempt from having the 7-foot-tall barrier because it had a liquor license before 2009. That&apos;s when a state law took effect that required all new restaurants to have a room or barrier to shield children from seeing mixing and pouring of alcoholic beverages. When Lamb&apos;s lost its license, it was reclassified as a new restaurant and was required to build the barrier. Lamb&apos;s paid the fine and met the barrier requirement, and the DABC granted it another liquor license in December. But it may have been too late. 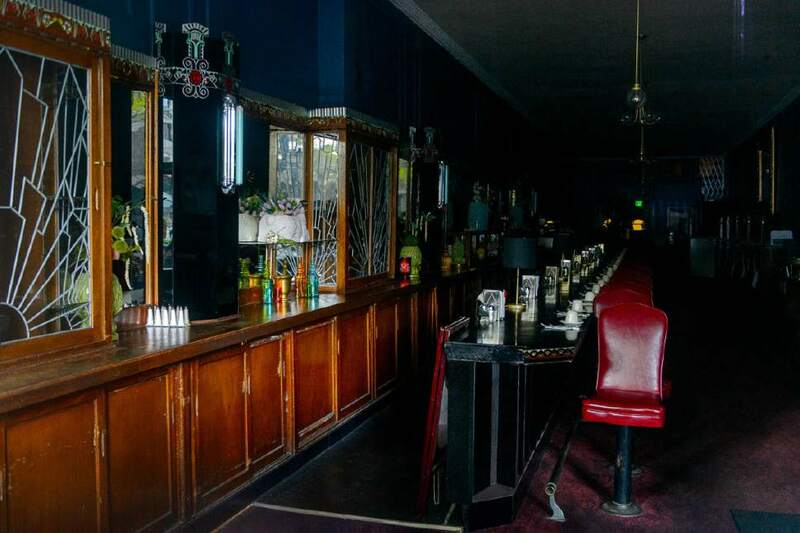 At the time, Barlow said operating without a state liquor license for two months had cost Lamb&apos;s at least $40,000 in profits and had put the venerable restaurant on the verge of closing. Gibson said losing the liquor license didn&apos;t help the financial situation, "but it wasn&apos;t completely to blame." The restaurant had changed its menus and decor, he said, but it had lost its allure as many newer restaurants opened on Main Street. For the past few weeks, "the head chef and myself were buying food" to keep things going, Gibson said. "But the income just isn&apos;t keeping up with costs." If investors can&apos;t be found, he said, the restaurant could go back to the Speros family, which owns the building and which is still owed money for the business. Joshua Jones, who works for Ballet West around the corner from Lamb&apos;s, called the restaurant a Utah institution on par with other now-closed Salt Lake City restaurants such as La Parisian and Bill and Nada&apos;s.
"My father had great memories of the place, and I hope to have many more," he said. With more attention to the menu and maybe some marketing, "Lamb&apos;s can be just as good as the hip and loud restaurants dotting the grid all around them."